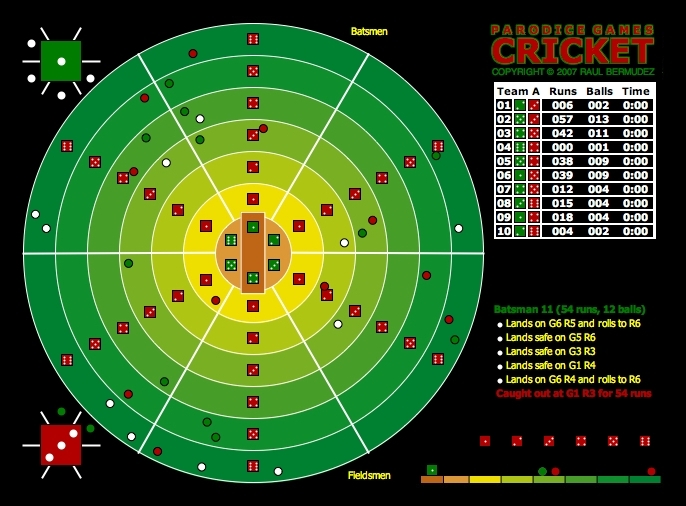 The computer version of PG-Cricket is still being developed. Only the BASIC RULES of the board game apply at this time. 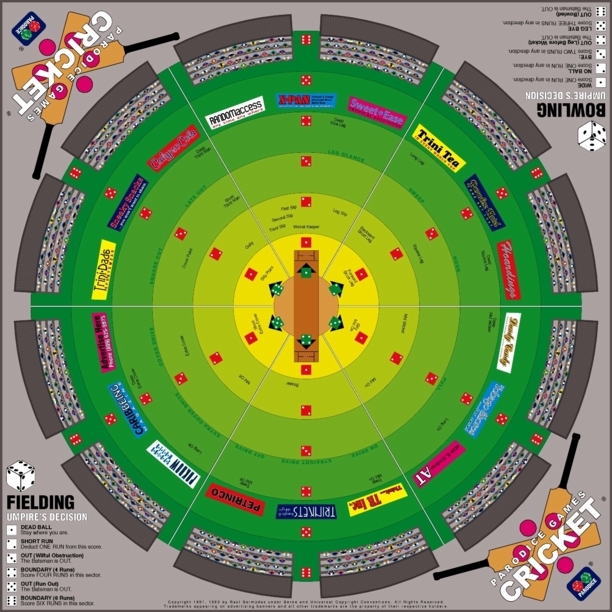 of our CRICKET board game, please CLICK HERE! of PG-Cricket, please visit us at Cricket.TT from time to time. you will enjoy the improvements we are making just for you. 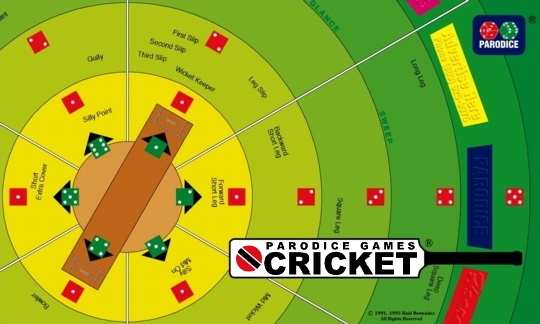 PG-Cricket was last updated on the 7th of February 2007.
the game that uses a nine dot green die. so that it can be used as an introduction. 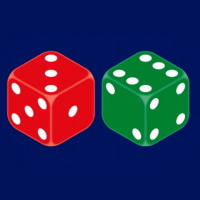 A Parody with Dice by Parodice Games. with an exhilarating board game the whole family will enjoy. Excellent ground, weather and light conditions all year round. At last, PLAY IS GUARANTEED. All contents are Copyright © 2007 Raul Bermudez - All Rights Reserved. via e-mail and invite you to visit us again, sometime soon.